Keyless entry is here for your home. There are a variety of systems on the market to suit your budget and lifestyle. In this post we share with you a few of the products available to help you ditch the key and keep control of the access to your property. Install the Yale Assure app on your smartphone and unlock the door to your home. Through the app you can manage your users settings and history. 5 digital keys are also provided which you can share with your family and friends for access. 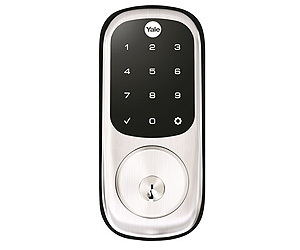 Use the touch screen keypad to enter your 4-8 digit PIN and gain entry to your home. up to 12 unique PIN codes can be created and stored. It has an auto re-lock feature ensuring you’re always secure. After a specified time your door will automatically lock. Let go of the worry that you or your kids forgot to lock the place up! 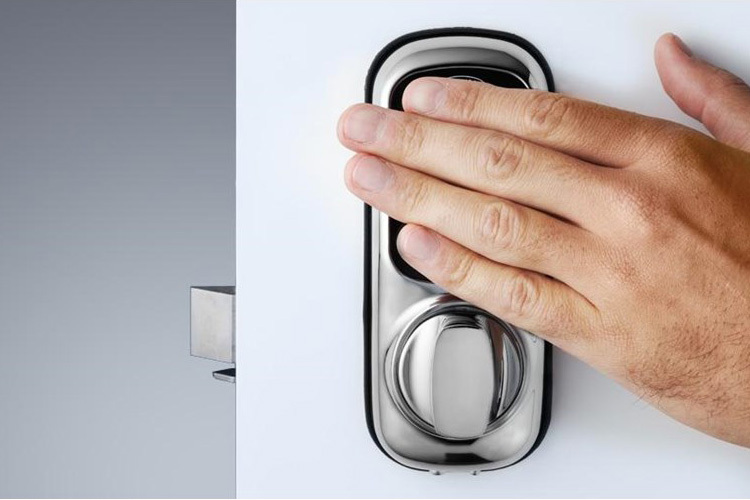 The 001Touch™ has a touch screen keypad where the cylinder of the traditional 001 Deadlatch used to be. This stylish device allows you to use a PIN code (or up to 20 key cards), providing you with a convenient keyless home security solution. 2 key cards are provided with the lock unit. By creating a master code you will be able to add and delete users. Setup PIN codes of 4-12 digits for different members of the family. Need to briefly provide access to your home? Why not set up a code that is active for 3 – 336 hours. 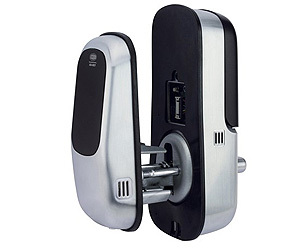 Your lock can be used 10,000 times with the one set of 4 AAA batteries. It’s recommended that batteries are changed every 12 months. Don’t worry about losing your settings, codes, or cards when doing so. They will remain programmed even when the batteries are removed. 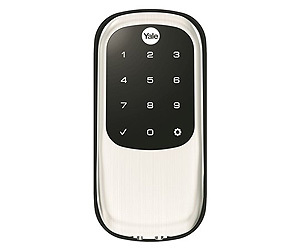 Your current deadbolt is easily replaced with the key-less version of Yale Assure Lock®. With no cylinder there are no keys to lose and no locks to pick or bump. Just as with the standard version your smartphone becomes your key. 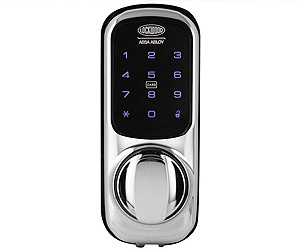 Create up to 12 PIN codes and control the lock settings for each user and code. Restrict the times that certain users are able to access your property. You can even view a history of who has unlocked your door. 5 digital keys are available for you to use and share with your friends and family. These can be removed or shared using the Yale Assure app. A great solution for the home or business. Looking for a super serious keyless system for your house, this one is for you. Featuring privacy mode it adds extra security by allowing you to prevent anyone from unlocking your door while you sleep. Wireless network connectivity lets you connect the device to other automation systems. You can also control it remotely. When the remote management software is setup you can receive text messages or email alerts letting you know that your door has been unlocked. Other devices in the home can be triggered by the remote software. Your unique PIN code can unlock all doors, turn on the lights & TV, adjust the temperature, even close the curtains. Simply touch the keypad to lock your door. When the batteries in your device are at 30% you will be notified. If the outside lock is tampered with an alarm will also sound. If you have any questions about keyless entry systems for your home or business give Wynns Locksmiths a call on 03 9495 1122. Or come in and visit us at our showroom 110 Bell St, Preston, 3072.